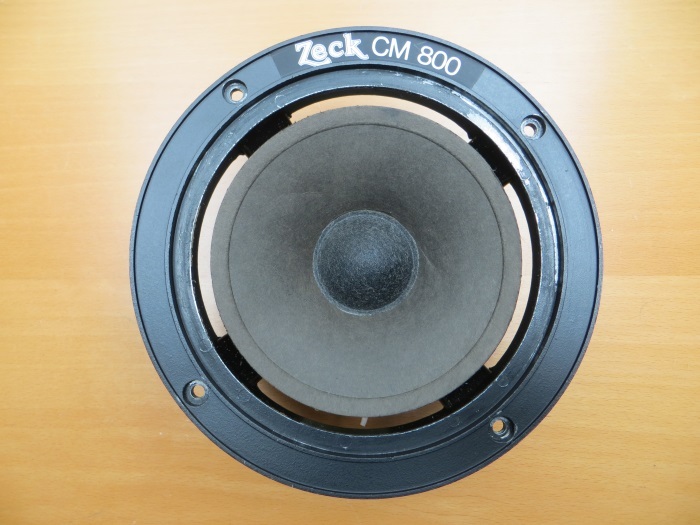 Repairing a midrange (Zeck CM800) with a home-made, flat, foam surround, made from a piece of flat foam. An example that can be used with many other midranges. 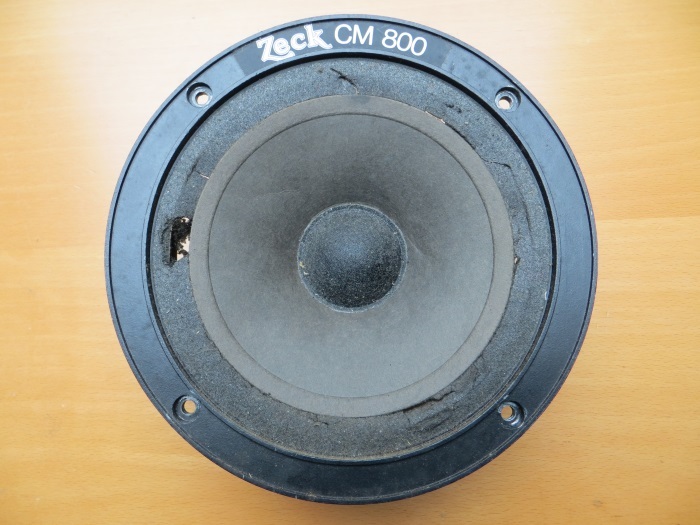 The midrange with a deteriorated foam surround. Please note the foam surround is flat and mounted behind the cone. Some items used during the repair. Clean the frame with a cotton-swab with some detergent on it. Clean the frame as much as you can. If you use a strong detergent don't forget to ventilate your working space and be careful the liquid won't damage the speaker cone. 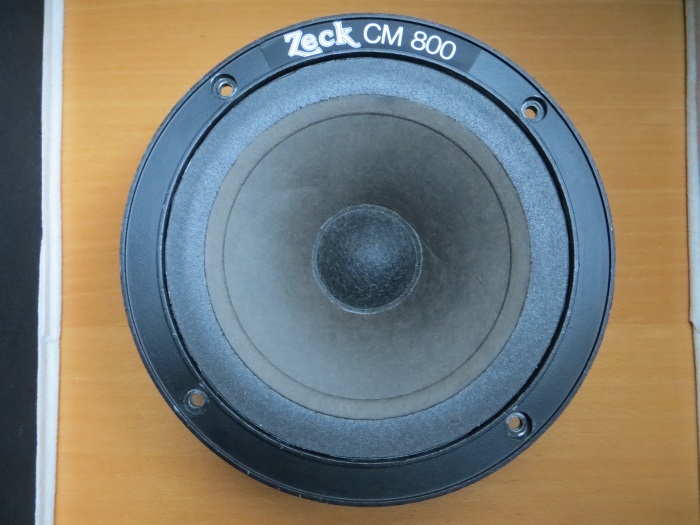 The frame is clean, you might want to clean the back of the speaker cone a little bit. 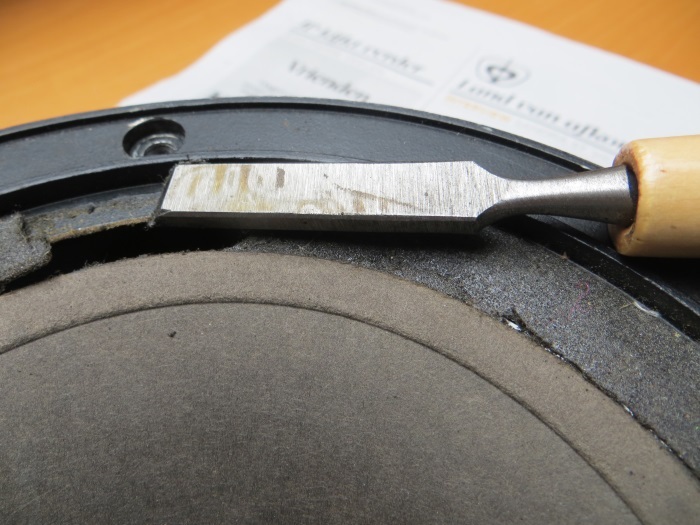 You can so by rubbing the back of the speaker cone with a piece of sandpaper. 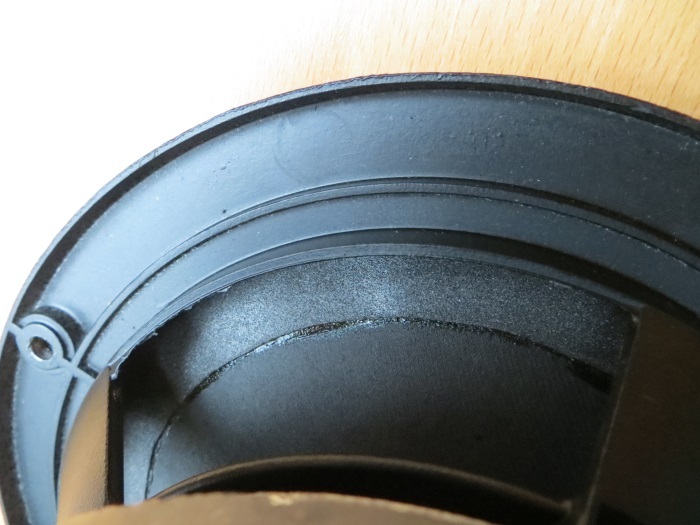 After cleaning, measure the inner- and outer size of the foam surround you need for your repair. 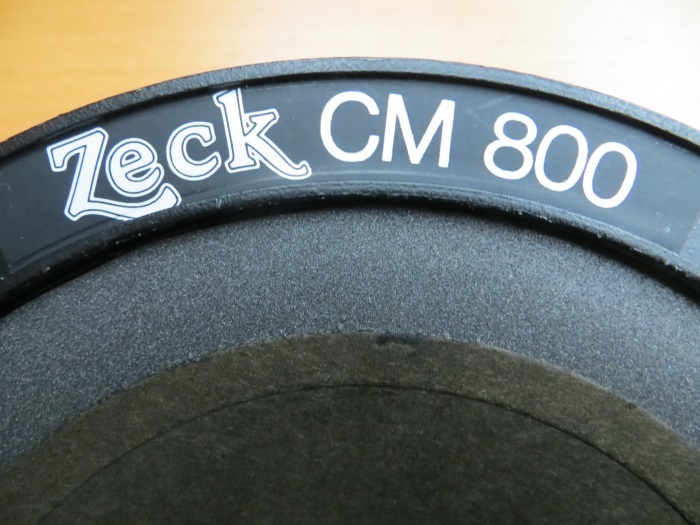 The piece of foam used here has a 200 mm (7 7/8 inch) diameter so up to that size you'll be fine. 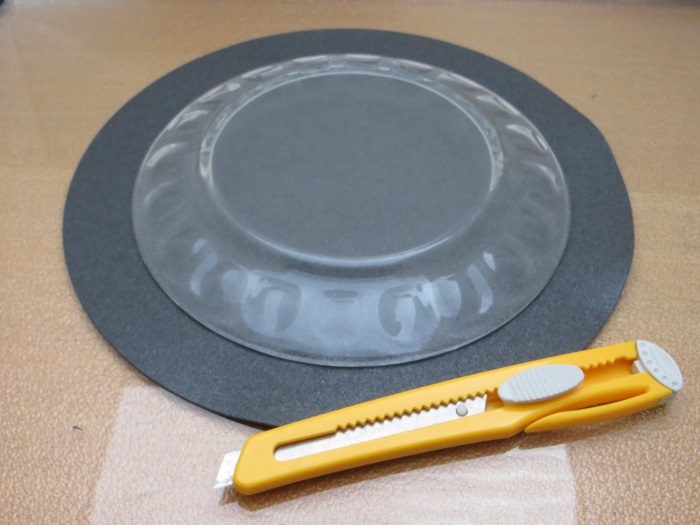 If you have a 'tooling' like a cup or a plate you might consider cutting the foam with a knive. 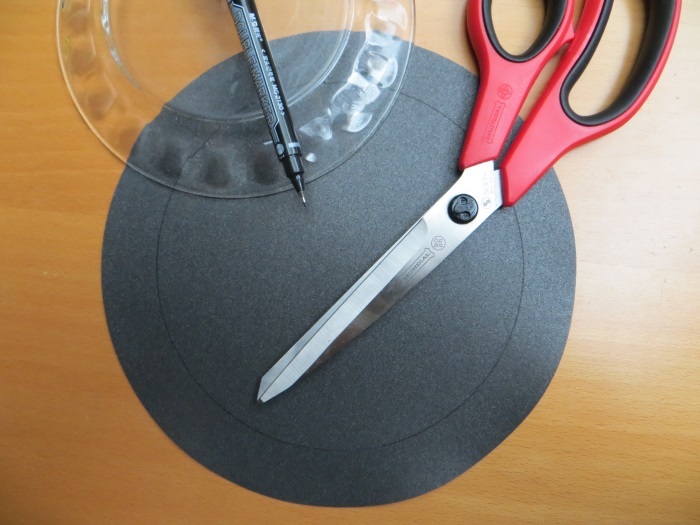 We used a metal compass to draw the circle on the foam, after that we highlighted the line using a black marker pen. And then we cut the foam, outer size first. After that we indicated the inner size, again highlighted it, and cut it. This way we created a custom-made flat foam surround to fit this specific midrange. 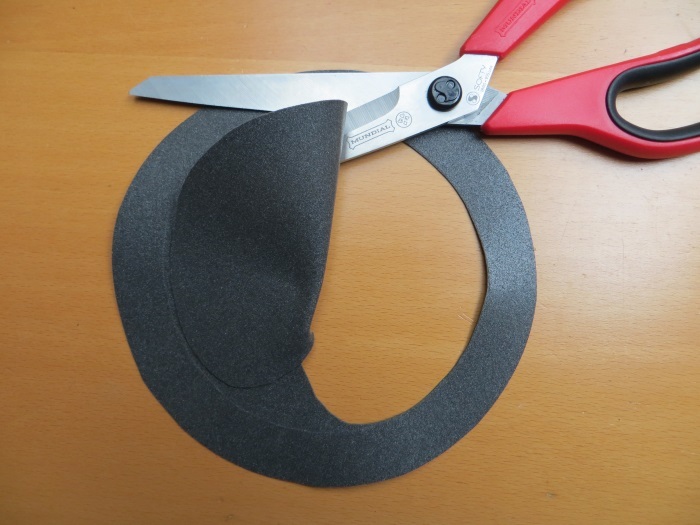 Before you start gluing the foam surround, it's a good idea to test if your surround's sizes are OK. Just try it on the unit before you start the actual repair. In case you made a mistake you can still solve it easily. If your foam surround fits well, you can glue it to the cone. 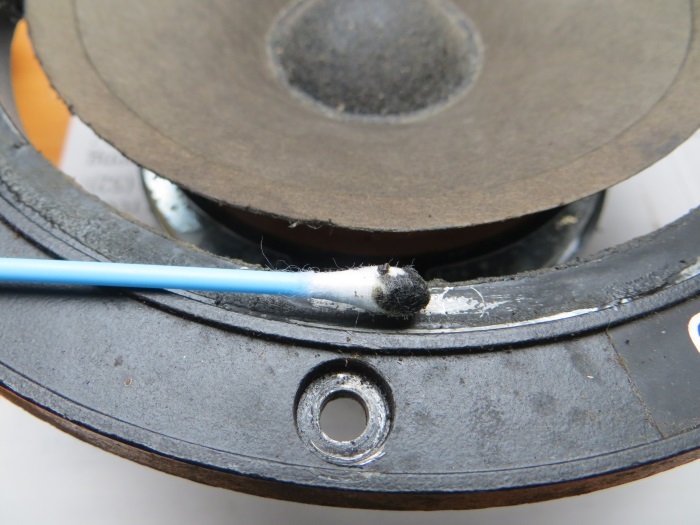 First, apply glue to the speaker cone. Please use a glue without solvents, like ours, some glues will damage your foam surround or might not glue too well. 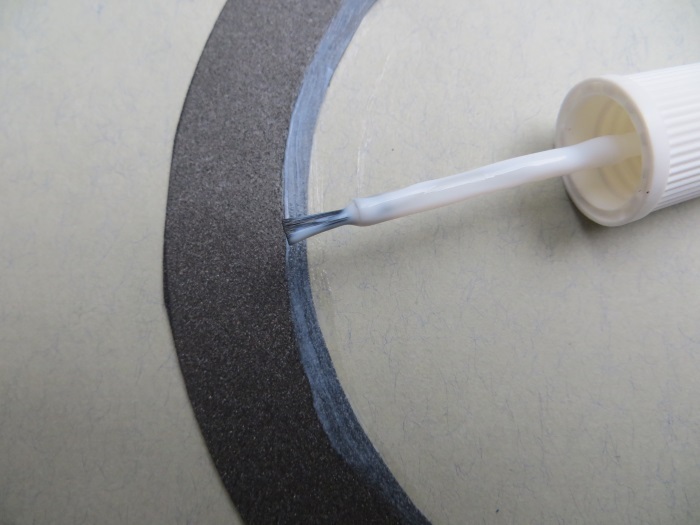 Now it's time to apply glue to the inner 'flip' of your foam surround and glue it to the cone of your midrange. 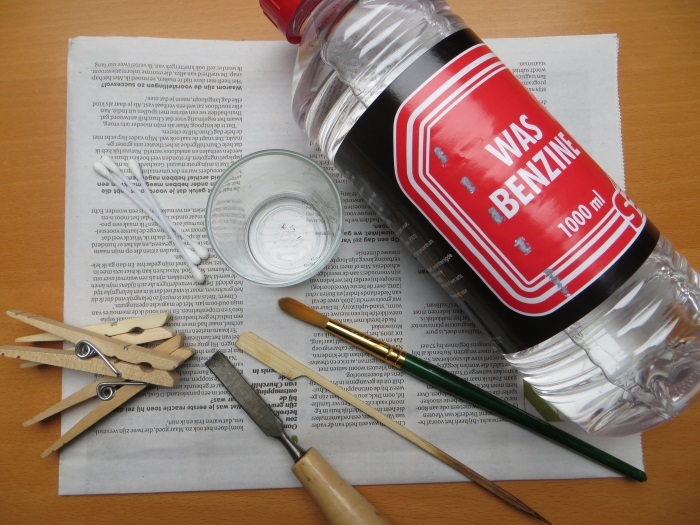 Our glue will remain sticky while it's white. Dried up it'll be transparent, though still a little bit flexible. Here's the result after gluing the foam surround to the cone. 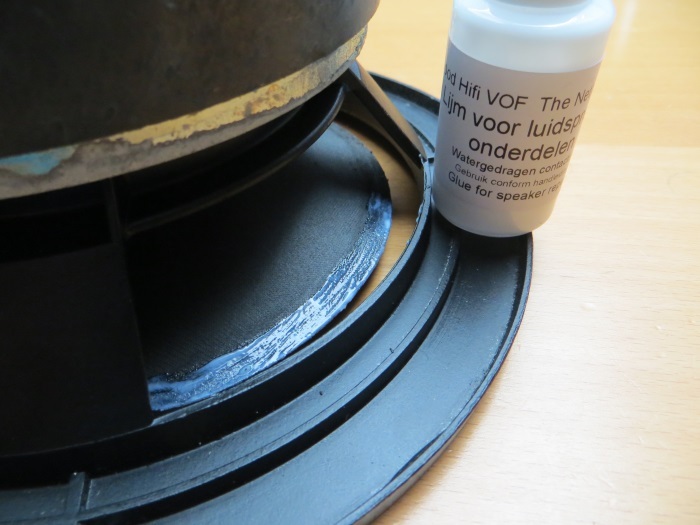 Make sure the glue you used to glue the foam surround to the speaker cone has dried up before you continue. If it's dry you can start gluing the foam surround to the frame. 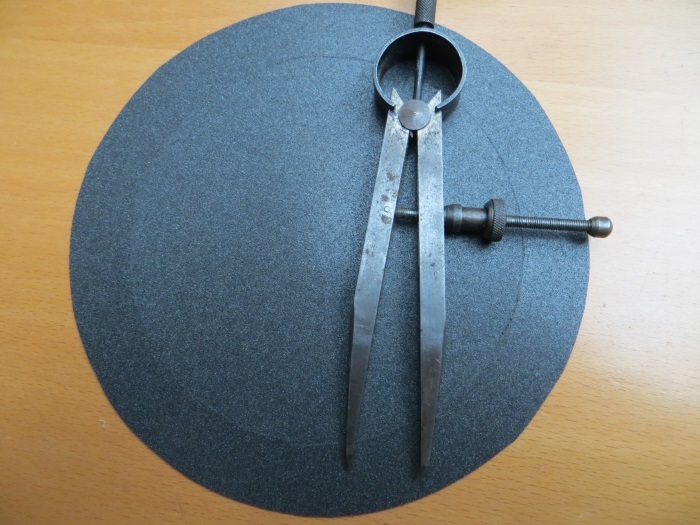 If you are not sure the unit is centered (most midranges are pretty easy to center due to the relatively strong spider) you can find methods to center the unit here. Apply enough glue between the foam surround and the speaker frame to fix it. After that your unit is ready. Happy repairs!